There is something magical about a winery. 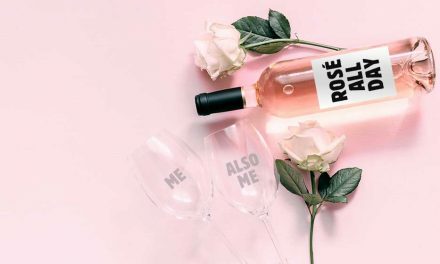 Plump bunches of juicy grapes growing abundantly in sprawling vineyards magically materialise into a delicious liquid form. Most winery escapades require a lengthy drive to a remote place, and although Canberra is already ideally located in close proximity to an abundance of wineries in Murrumbateman and Lake George, you may find yourself thinking ‘Wouldn’t it be more convenient to have a winery in the backyard?’ Mount Majura Vineyard comes pretty close to that realisation. 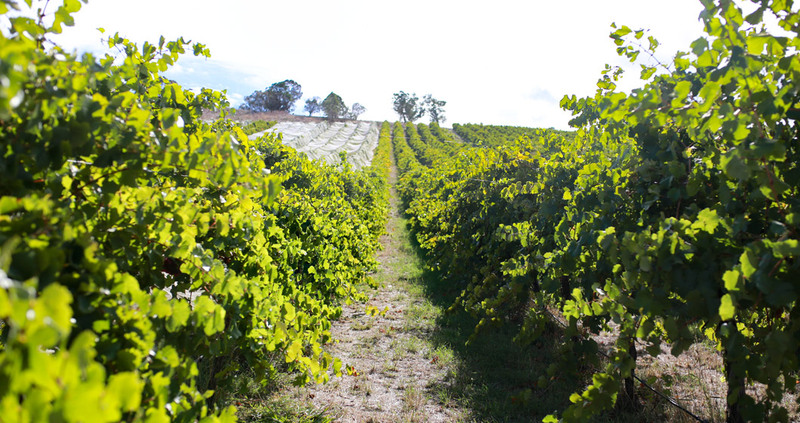 Vines sprawl across the hills of Mount Majura in orderly rows, beckoning you to turn off the Mount Majura parkway only 15 minutes from the city to find yourself at the cellar door and production house of Mount Majura Vineyard. 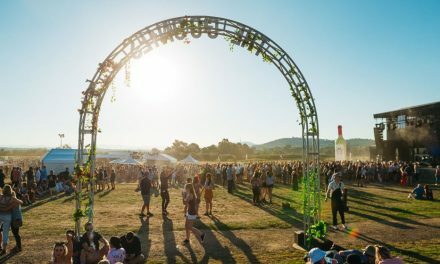 It may have a relatively short history with the first vines planted in 1988, but they have not taken long to leave a welcome stain on the wine industry as producers of superb rieslings and alternate varieties. 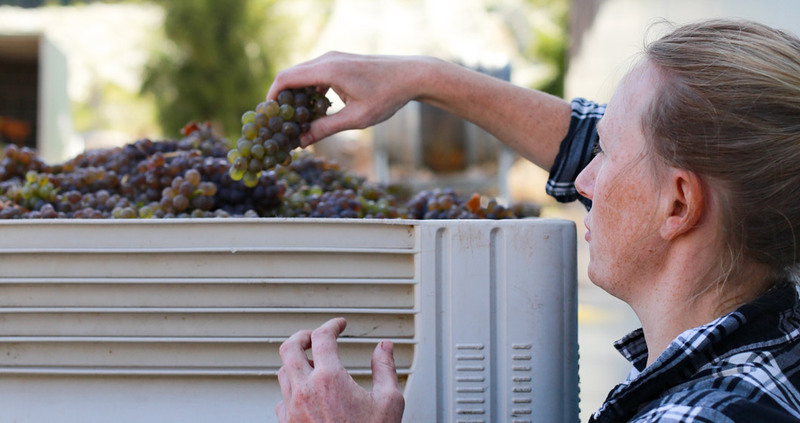 With a fervour for experimentation and innovation the owner, Dr Frank van de Loo, has an objective of producing great wines expressive of the region, so every drop of its vintage is from grapes picked exclusively from the vines at Mount Majura. The deep and warming aroma of fermenting grapes as you walk in the cellar door at harvest time is reason enough for a visit. 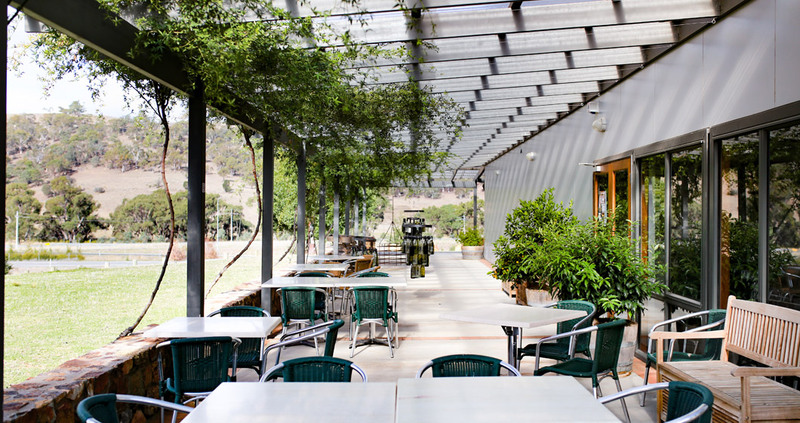 The building is a large industrial-looking tin and stone shed, mostly filled with production materials like innumerable stainless steel vats, oak barrels and machines to de-stem grapes, with a corner of it taken up by the humble cellar door. The teams knowledge and passion for wine has resulted in an experience that leaves you more knowledgeable and less thirsty. 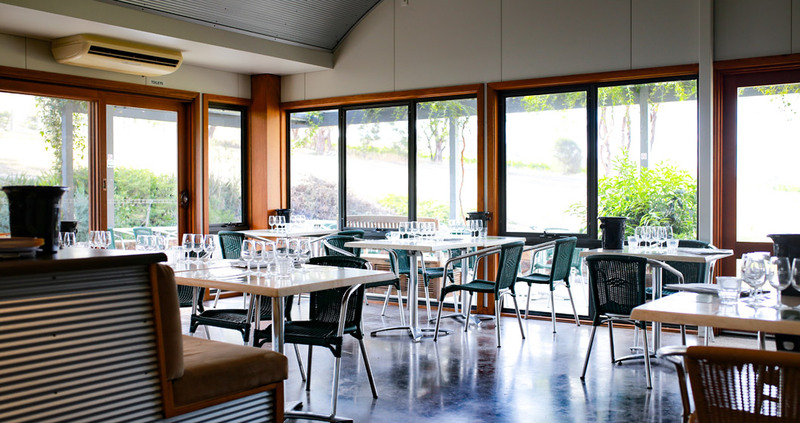 Unique from the cellar door norm of standing beside a bar to sip your way through the wine list, the Mount Majura Vineyard experience is leisurely and feels more like a lazy Sunday afternoon. It’s one thing to see the vines and taste the wines, but it’s another to be able to traipse between the rows and see the process from the beginning. So before you sit down take yourself on a gumboot tour of the vineyard. 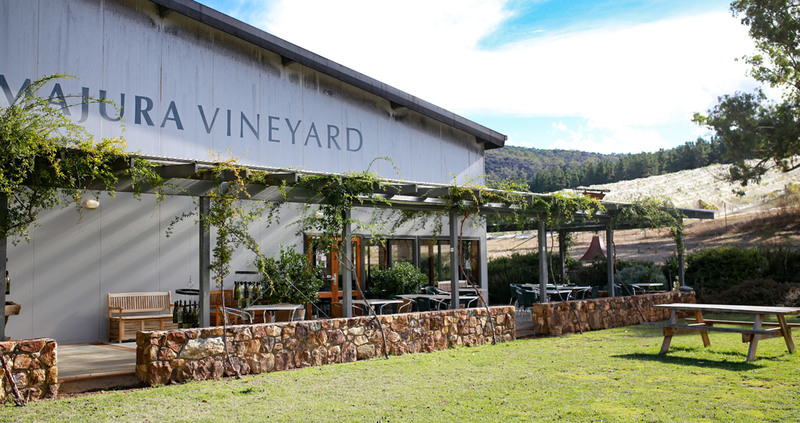 Armed with a map and a pair of gumboots or decontaminated shoes (the soles are sprayed with a decontaminating solution), you’re free to roam and get right up close to the vines of shiraz, pinot gris, tempranillo and the like. Then there’s the tasting. Take a seat at a table inside the light-filled room, or outside on the terrace under creeping vines and start tasting what you’ve seen growing. The cellar door staff can walk you through a tasting or leave you to taste yourself, or just go straight for a glass of your pick. Platters of cheese and antipasti are available to indulge on. 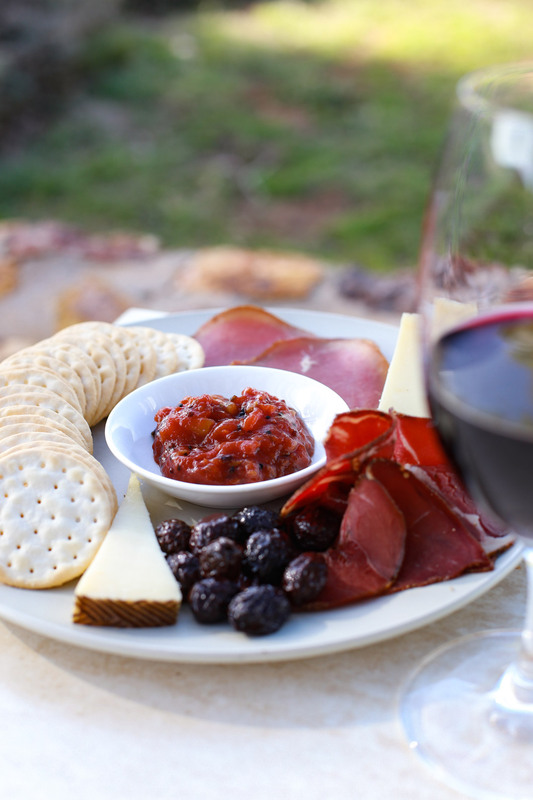 Graze on clusters of dried olives, wedges of hard and soft cheeses, spiced chutney and thin slices of cured meats, all from local producers to match the local focus of the vineyard. No need for fancy meals with matched wines here – just simple and quality produce that speak for themselves. 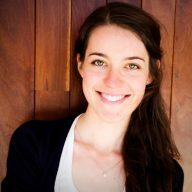 Attentive and enthusiastic about wine, the cellar door staff are keen to share their knowledge so it’s a likely chance you’ll come away much more proficient in your understanding of wine making and wine styles. 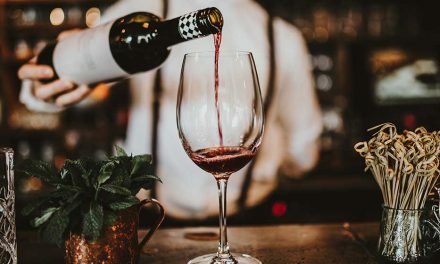 But tasting is far from a school lesson – it happens fluidly over a conversation with the staff over glasses of wine and platters of local produce. 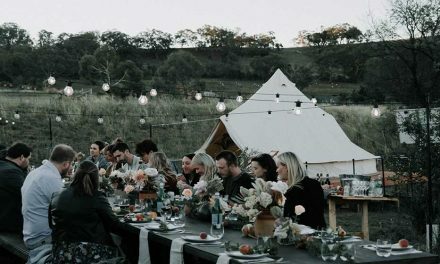 With a large outdoor lawn area with picnic benches set under gumtrees, the vineyard is great space for events and gets involved in a number of happenings throughout the year including the wine tasting and truffled brie for the Truffle Festival and oyster shucking for Canberra Wine Week, so its events calendar is worth keeping an eye on. 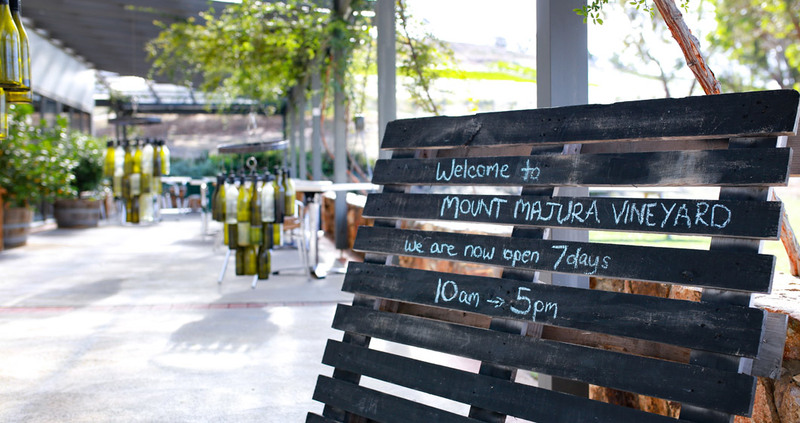 Much like a ‘choose your own adventure’, a visit to the Mount Majura Vineyard cellar door offers something for everyone, whether you’re there to taste wine, eat cheese, or frolic among the vineyard. And you barely need to leave your backyard.